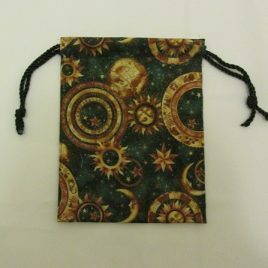 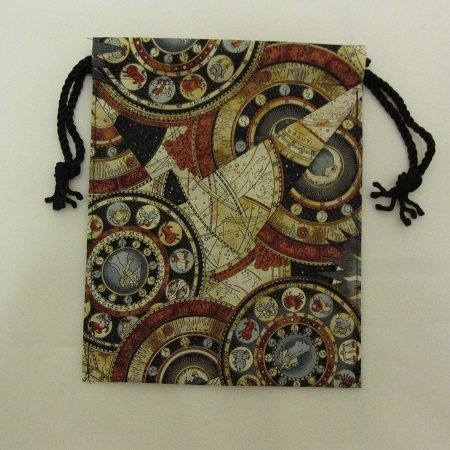 Superbly detailed fabric filled with astrological wheels, celestial suns and star maps. 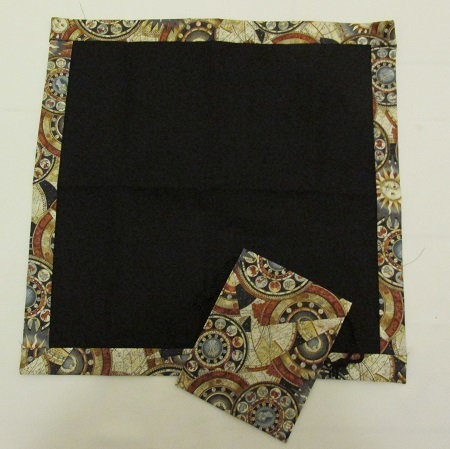 This color version combines black and brown with gold metallic accents. 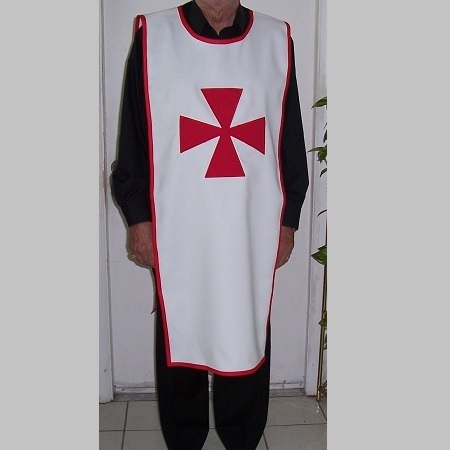 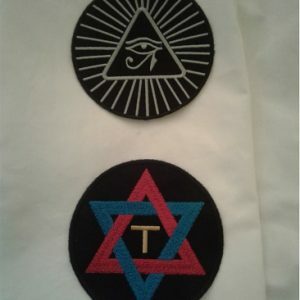 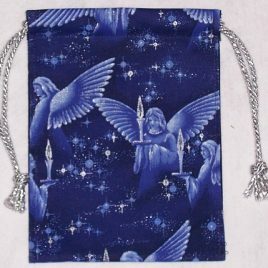 Order the bag alone, or get the set that combines the 6″ x 8″ bag with a 20″ x 20″ laycloth. 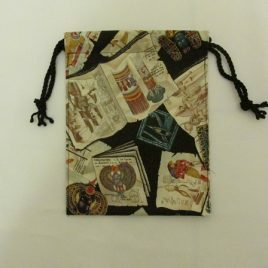 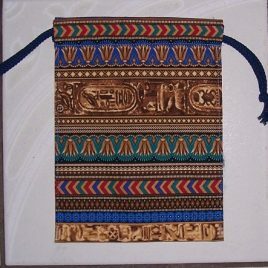 this unique fabric print has Egyptian jewelry, scarabs, drawings and writings scattered across a black background. 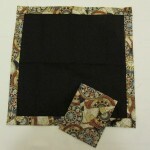 Order the bag alone or combine it with a 20 x 20 laycloth for a stunning set. 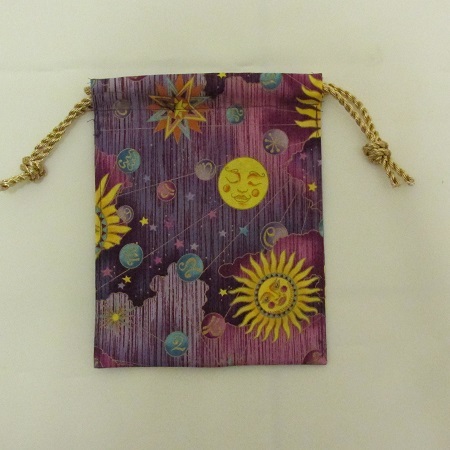 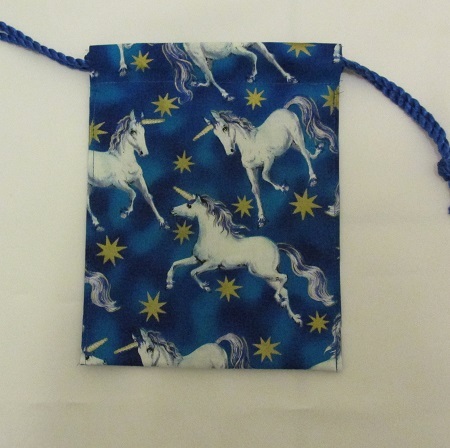 Bag measures approximately 6 x 8.